Kids Treasure Hunt Clues Pirate Treasure Hunt For Kids Treasure Hunt Map Pirate Games For Kids Treasure Hunt Birthday Pirate Party Games Pirate Treasure Maps Pirate Birthday Pirate Theme Forward All the details to plan an awesome #pirate treasure hunt, complete with clues, a map �... 22/12/2009�� Mr Bean finds a treasure map and follows it through Mrs Wicket's house to find clues, tryng hard not to wake her. From animated episode Treasure! 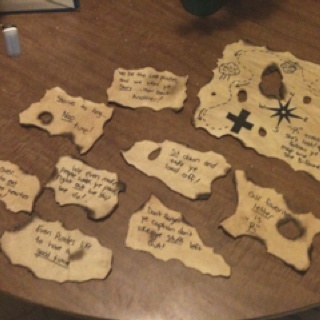 Also included is a set of blank treasure maps, that you can use to create your own map for a treasure hunt for a pirate birthday party, or to use as a background for treasure hunt clues. Pirate Treasure �... As with the picture clues, you can cut the map up into 4 or more pieces and add them to certain clues. Once the participant comes to their final clue, they can tape up the pieces of the map they have collected and make their way to their "treasure." 14/11/2018�� Start drawing your map. Use a piece of plain white paper to start. Include the compass so the hunters can get their bearings and any written clues needed by the hunters to find the treasure.... Main article: Treasure Trails/Guide/Maps Map clues are an image of the location the player needs to search to advance along their trail. 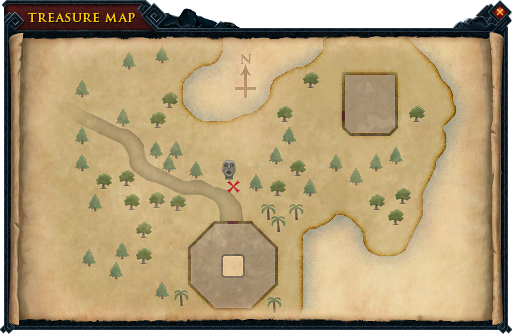 Maps are found across all levels of clue scroll. 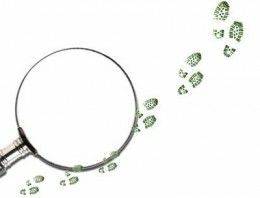 "Creating a treasure map for treasure hunting and letting the kids figure out the clues can be a challenging and entertaining way to spend time with children It also stimulates their imagination and sense of mystery." 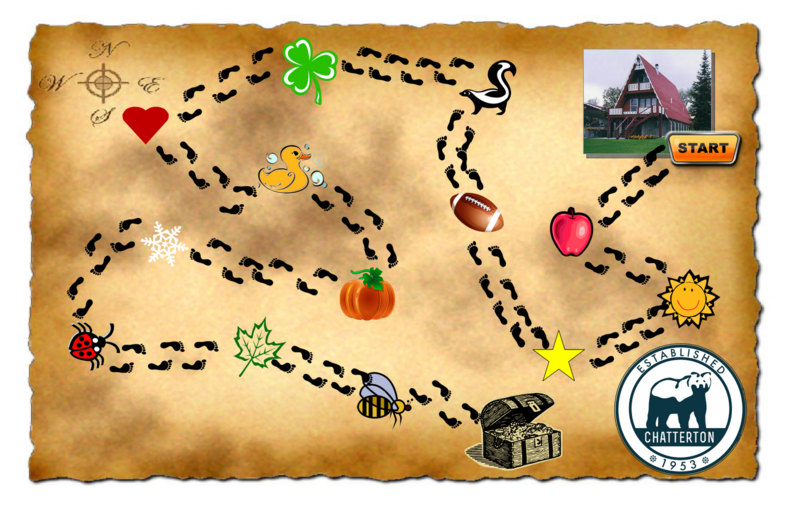 A map is a tried and true clue for a treasure hunt. If you're not a gifted artist, don't worry. You can easily make a map of symbols or use pictures from a magazine to indicate locations. A map is especially suitable for outdoor treasure hunts because you can include directions like "Take ten skips west" or "run 12 metres north" to move them from one clue hiding spot to another. 22/12/2009�� Mr Bean finds a treasure map and follows it through Mrs Wicket's house to find clues, tryng hard not to wake her. From animated episode Treasure!